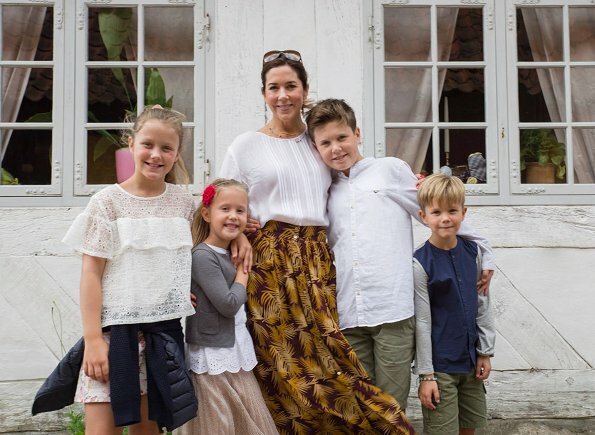 On August 10, Crown Princess Mary together with Prince Christian, Princess Isabella, Prince Vincent and Princess Josephine visited Old Town of Aarhus. 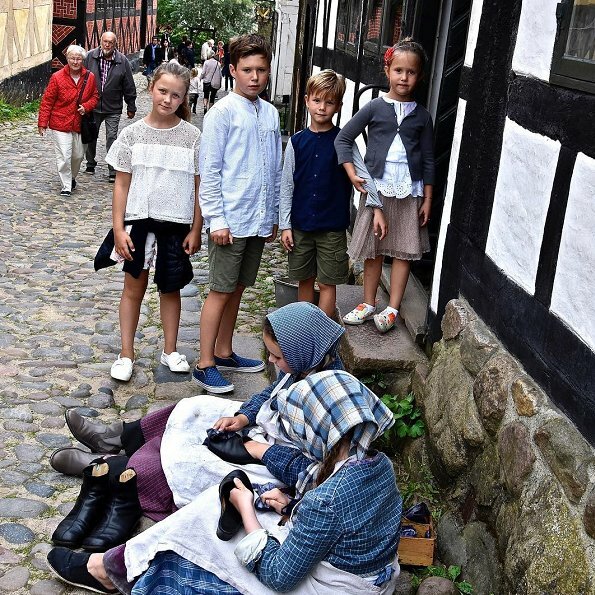 (The Old Town in Aarhus (Den Gamle By), is an open-air town museum located in the Aarhus Botanical Gardens.) 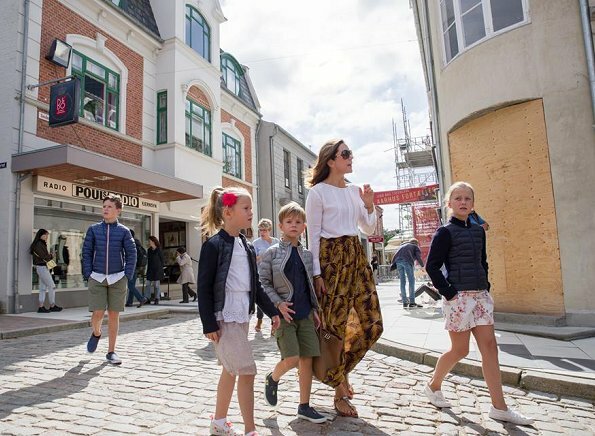 Later, the Crown Prince family visited the Jylland frigate in Ebeltoft. 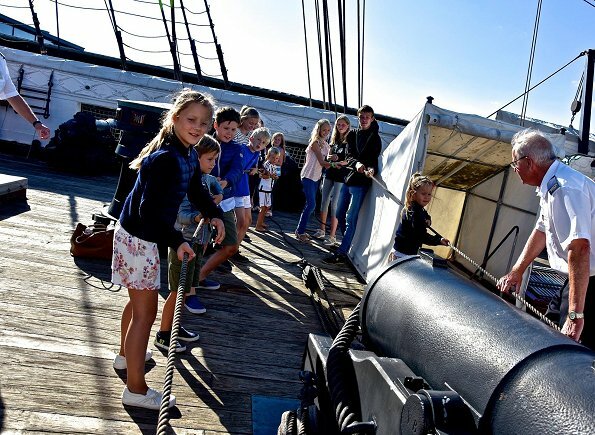 Jylland is one of the world's largest wooden warships, and is today a museum. Such appealing and charming children - and normal too, even with mildly bored expressions in a couple of photos. 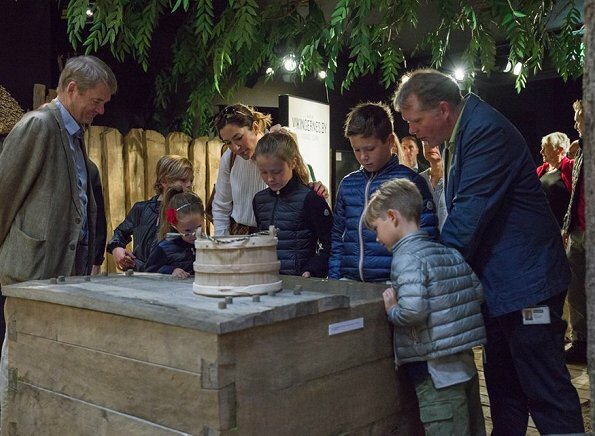 A private holiday visit followed by a photografer? Anyway, nice pictures. I was thinking that too... Can't remember ever having seen so many photos of the couple and their 4 kids as we do right now. Very true, their holidays are normally very private. I love the way Isabela has her cardigan (?) tied around her waist (top photo). This is what Australians do. Wow do those kids look like their mum! 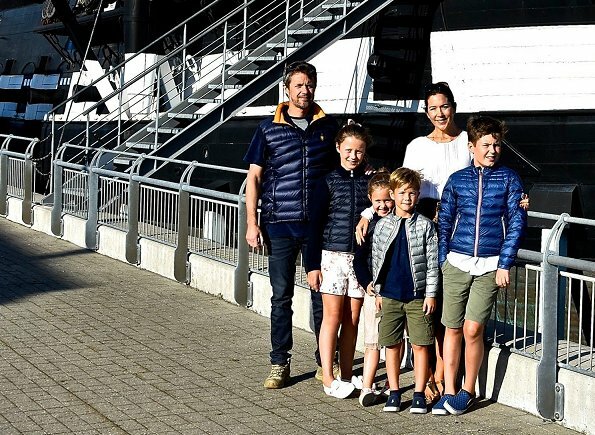 ...and please note that summer in Scandinavia requires some down jackets! Not always, but this summer has been very cold. 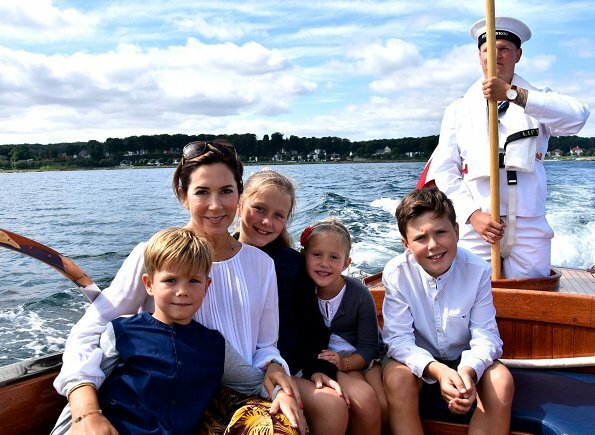 Such a lovely family. Beautiful, natural children. 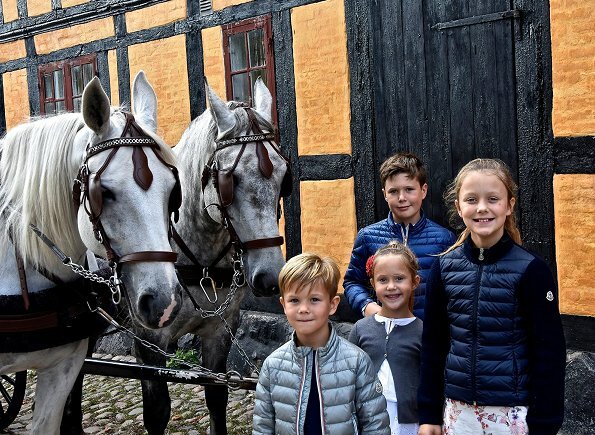 They are not very often visiting Australia…… I think the Aussies will love those Danisk tourist pics of the family. Such warmth & love showingly vibrates within this family...So beautiful.